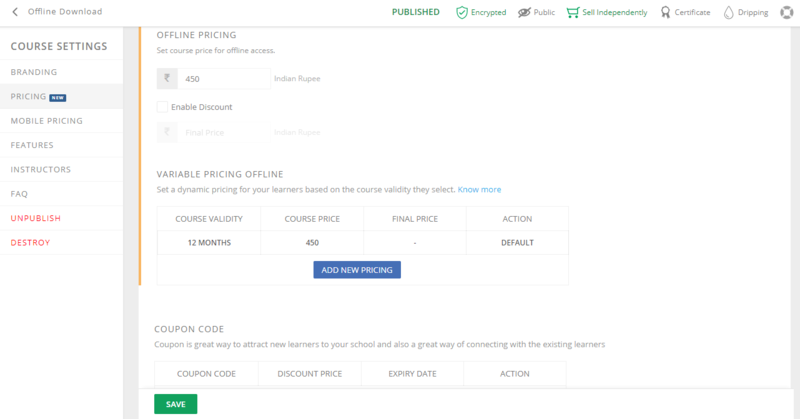 To start selling your mock test online you have to first set up the pricing and all the related details. Right? 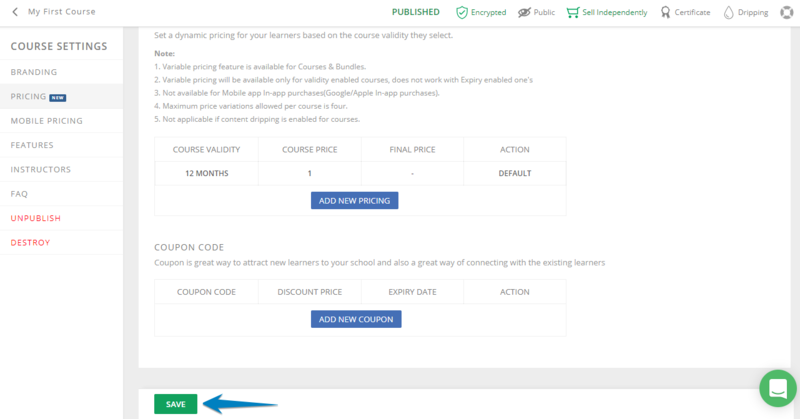 So to help you do that we have added a bunch of pricing related features that you can edit in the mock test settings. 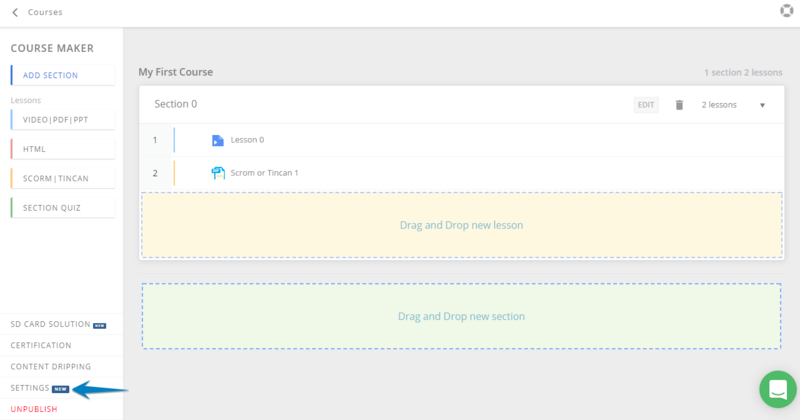 Validity and Expiry: great tool to decide whether you want to keep a validity period for the course (This will keep the courses active for the duration of validity from his/her course purchase date) or you can decide to keep an expiry date (the course will expire on a fixed date irrespective of learner's sign up date. 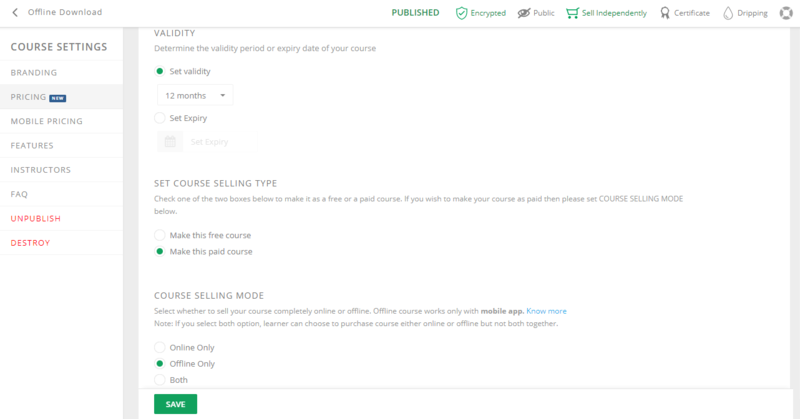 Course Selling Mode: You can decide whether to sell your courses offline or online or both. Based on your choice the further pricing configuration will be activated. 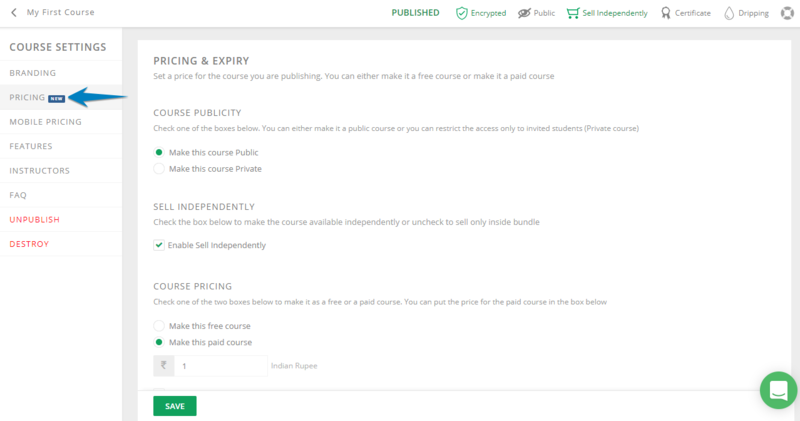 Coupon code: Coupon code is a proven way to market your courses. 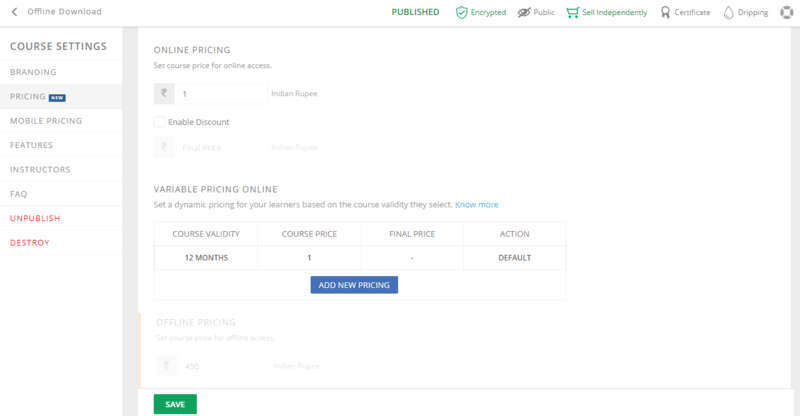 So we have given you the option to provide a coupon code and a discounted rate which you have the sole right to decide. Once you make the necessary changes, click on Save to save the data.